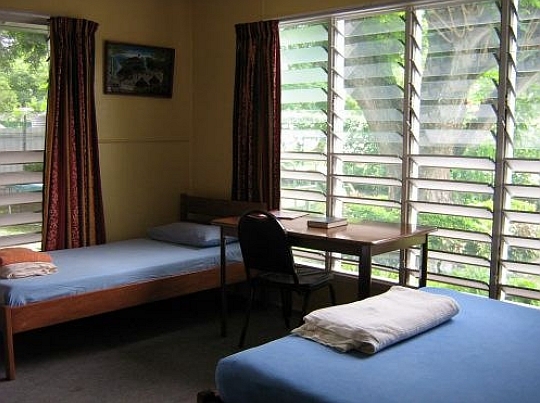 Our Rooms - Missionary Association of PNG Inc.
One room has a queen size double bed only. 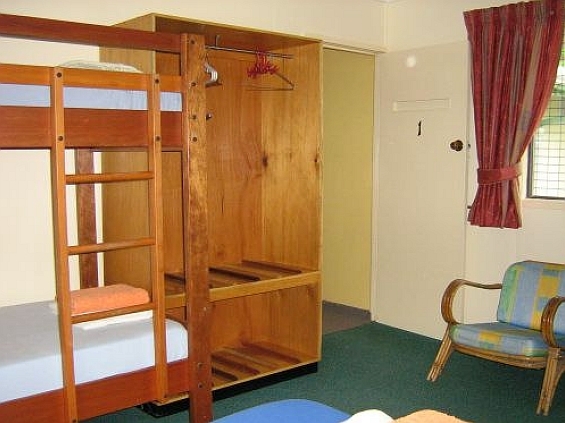 Five rooms have a queen size bed and 2 double bunks, and are used for families. 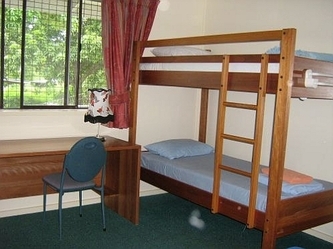 Two rooms with 2 double bunks each room are in the adjoining flat which includes its own kitchenette and small lounge. 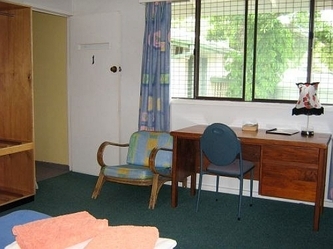 It is common for larger rooms to be used for shared single accommodation, male or female. 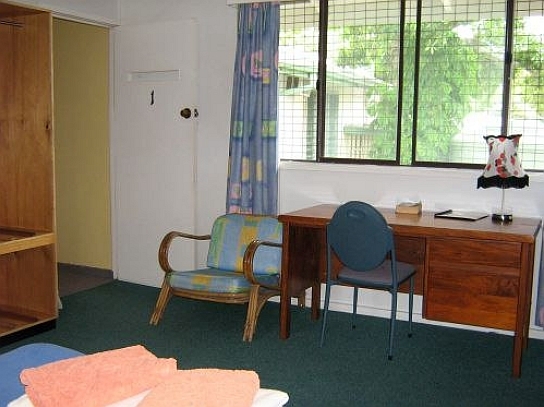 You can advise on your reservation form if you prefer a room on your own or are willing to be in a shared room. All bedrooms are airconditioned with a ceiling fan for a comfortable night's sleep. Each room has its own Telikom WiFi for one user at a time. Credit can be purchased at the office for your internet usage during your stay. Towels are provided. Please remember to bring your own toiletries. 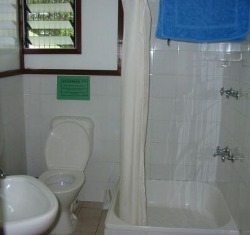 Five clean and well-maintained bathrooms (shower and toilet facilities) are located near the bedrooms. Two deep shower trays (shubs = shower and tub) can double as a bathtub for bathing small children. A plastic baby bath is also available in one bathroom.